In our previous blog, we discussed our journey towards launching our new website and what we’re the key points we took on board whilst designing our new website. 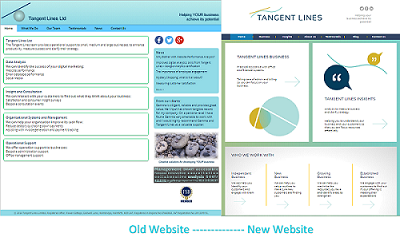 In this blog we’re discussing the differences between our old site and new one and what we felt were the key objectives for our new site. We also embraced the opportunity to introduce a live Twitter feed to keep our content new and relevant, as well as improving our blog section so that we can now include images (which you can now see above). Don't forget, we’re here to help your business achieve its potential.